Latin America is witnessing the emergence and growth of a new species of companies that is transforming its business landscape: Tecnolatinas, technology-based private companies born in the region. Most of them are entrepreneur-driven digital ventures with an international footprint. Many of these are based in Brazil and the country is in a unique place to create the framework that enhances and protects both privacy and its innovation ecosystem. Draft privacy legislation in Brazil will require that consent is “unequivocal, free, informed and specific” - which creates both a design challenge as well as an opportunity for businesses implementing practical changes to how user experiences will work. To make the new standard a success we must interpret the new standard in design in an innovative, creative and user-centric way. To design innovative solutions that show how a more innovative approach to consent can both provide more meaningful control for people over their data as well as a better, more contextualized and more fluid user interface. We welcomed experts from a variety of disciplines, including the São Paulo design community as well as public bodies, law practitioners and industry. 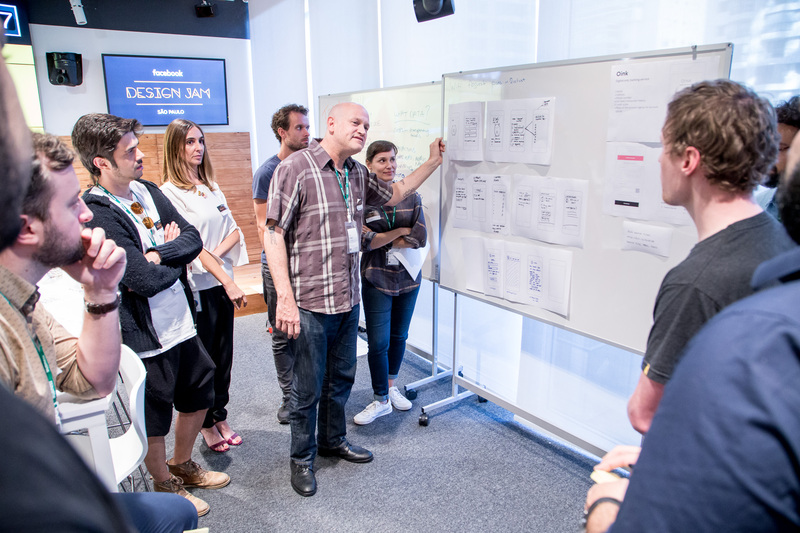 "Delivering meaningful control over personal data requires co-ordination, communication and understanding between digital citizens and the digital services that they use"
On the morning of the Jam, participants were welcomed and Introduced to Design Jamming. 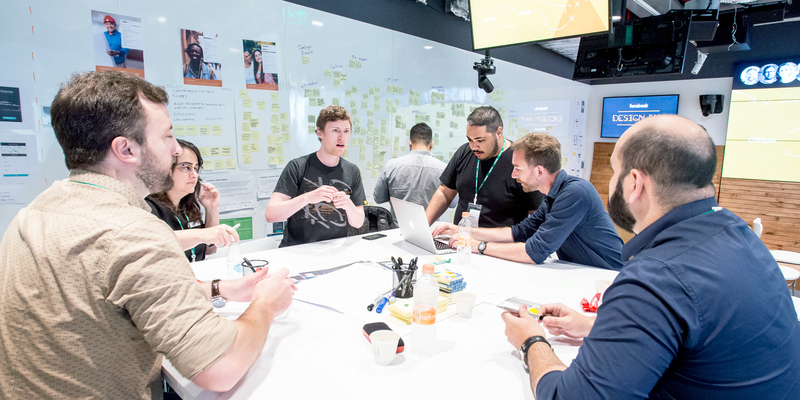 They then took part in discovery exercises around stations, including Understand users to explore the role of personas in building empathy, as well as the exercises *Design for transparency *and Design data-use notices. 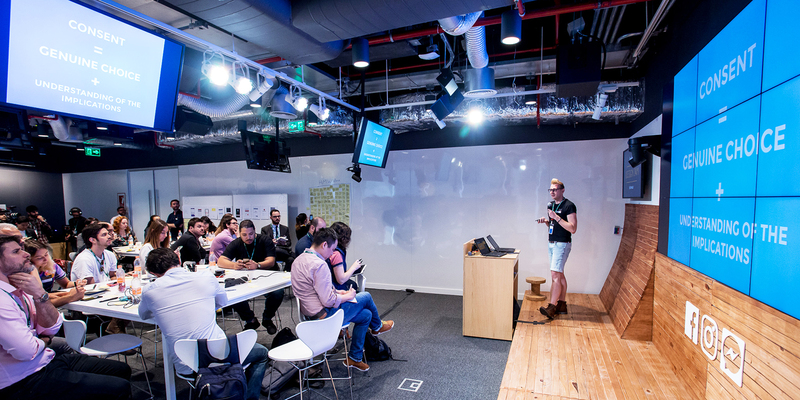 On the morning of the Jam, participants were welcomed and Introduced to Design Jamming. They then took part in discovery exercises around stations, including Understand users to explore the role of personas in building empathy as well as Deconstruct transparency and Analyse data-use notices. Participants were addressed by subject matter experts on how best to design in response to legal principles. Ana Bialer, legal expert, explained the background to data laws and consent rules. Richard Gomer, from the University of Southampton, explored questions around meaningful consent. Chris Downs, from Normally, told a story about requesting his personal data and what it means in today's world. build confidence and empower user choice? make it educational and enjoyable? ask only for what's needed? demonstrate the benefits of the value exchange? The discovery phrase also explored criteria to evaluate people's experiences with regulatory controls, based on happiness, engagement, adoption, retention and task success. These criteria prompted design guidelines to provide human-centric controls. For instance, as the experience of consent sets people's expectations, designs should minimise surprises and provide useful information to drive meaningful choices. Design should acknowledge that in-app interactions shape behaviour. And appropriate metrics should be chosen to measure the success of designs.